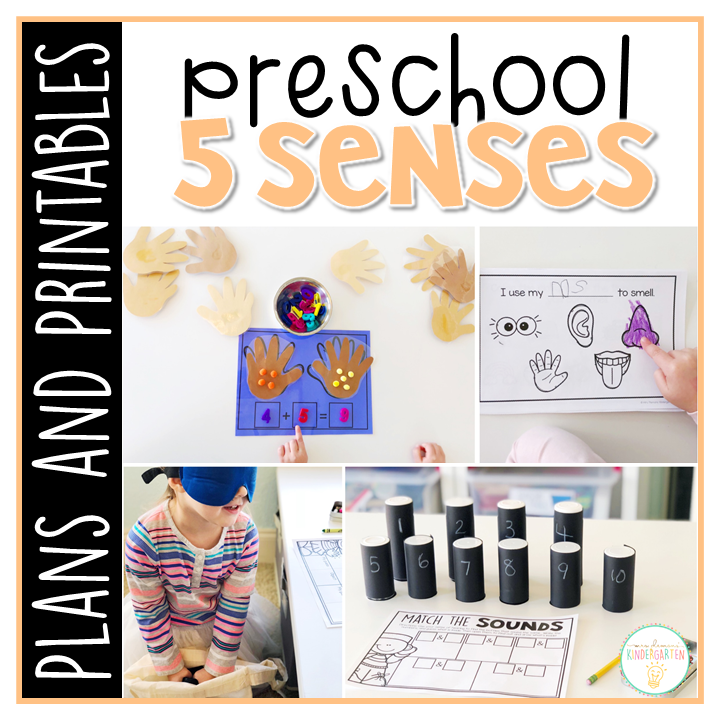 Learning about the 5 senses is such a fun preschool theme. 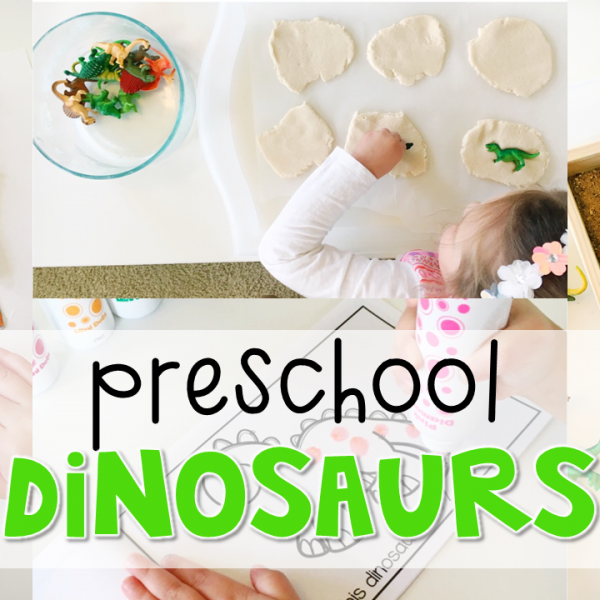 I loved coming up with all kinds of ways to capitalize on Madelynn’s curiosity through fun science explorations. 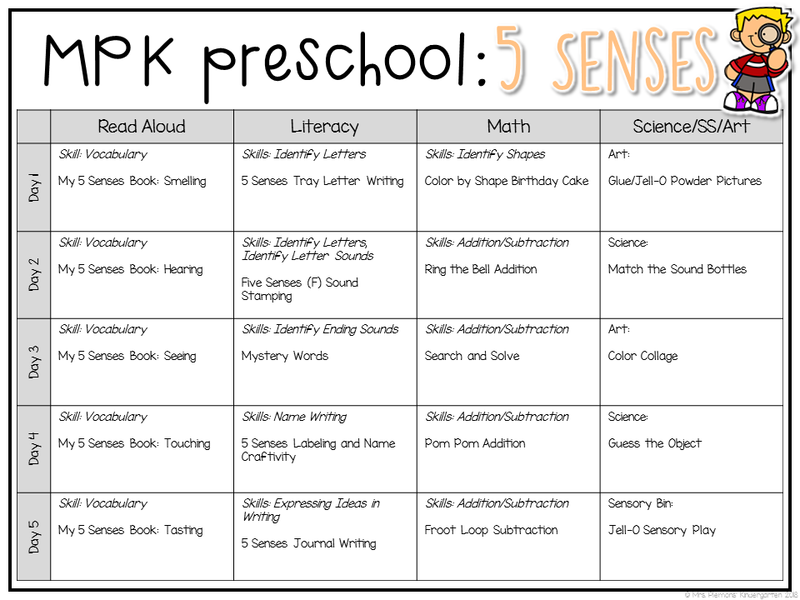 This week I chose a series of books about the senses so that we could focus on one sense each day. 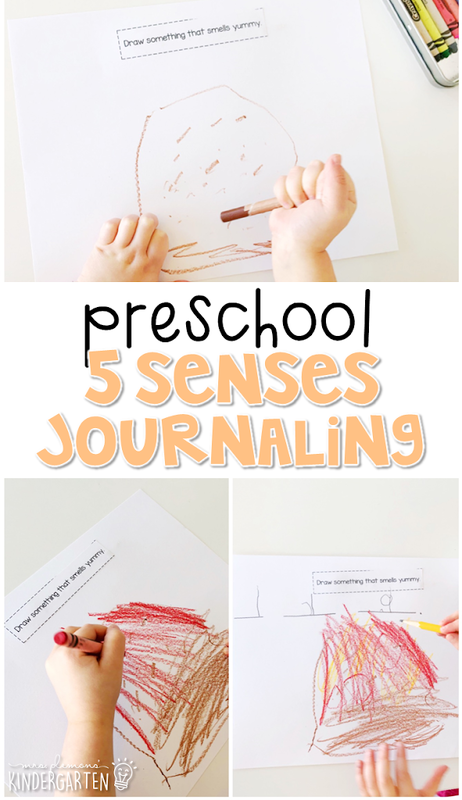 We used The Five Senses (series) by Rebecca Rissman, and we started out with Smelling.After reading, Madelynn completed the My 5 Senses: Smelling book by following the directions on each page. We talked about the part of the body used to smell, things we can smell, sorted good/bad smells, and more. 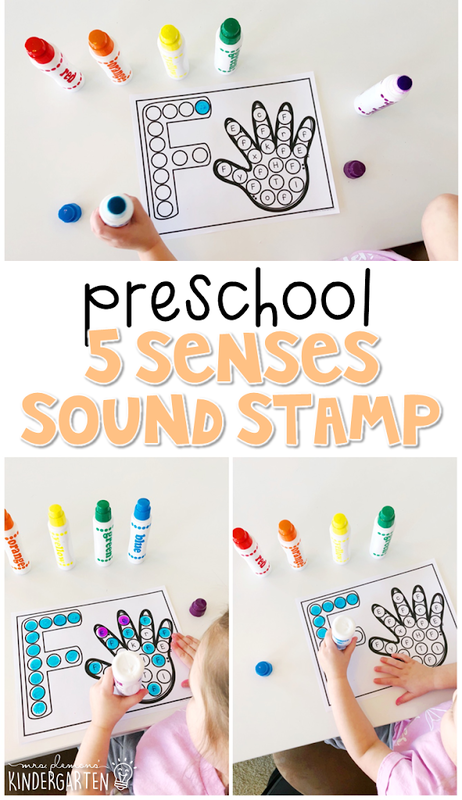 Our next book in The Five Senses (series) by Rebecca Rissman was Hearing. 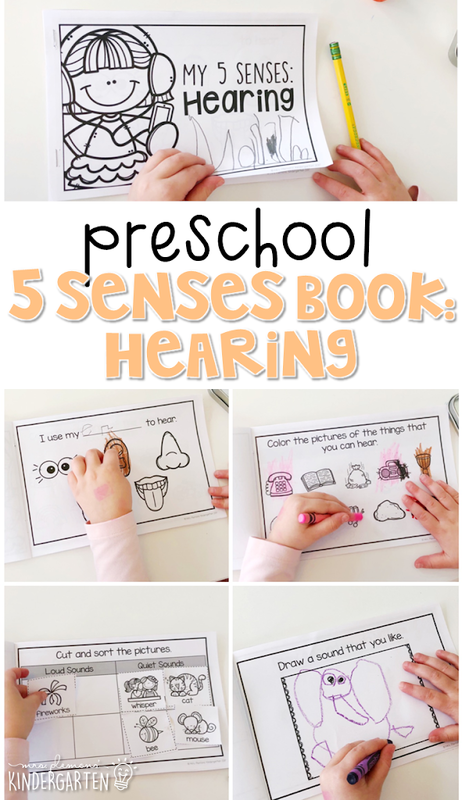 After reading, Madelynn completed the My 5 Senses: Hearing book by following the directions on each page. We talked about the part of the body used to hear, things we can hear, sorted loud/quiet sounds, and more. Our next book in The Five Senses (series) by Rebecca Rissman was Seeing. 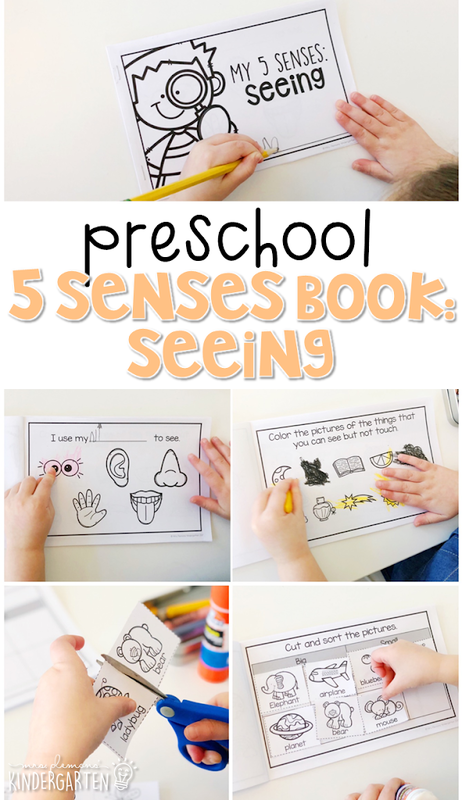 After reading, Madelynn completed the My 5 Senses: Seeing book by following the directions on each page. We talked about the part of the body used to see, things we can see, sorted big/small items, and more. Our next book in The Five Senses (series) by Rebecca Rissman was Tasting. 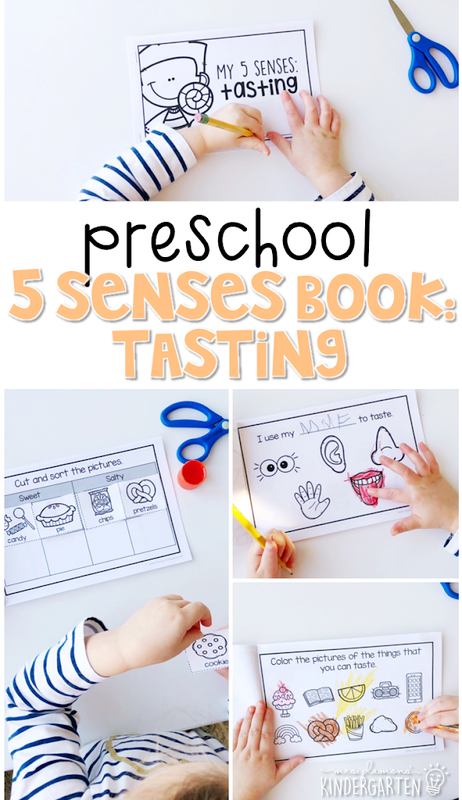 After reading, Madelynn completed the My 5 Senses: Tasting book by following the directions on each page. We talked about the part of the body used to taste, things we can taste, sorted salty/sweet tastes, and more. Our last book in The Five Senses (series) by Rebecca Rissman was Touching. 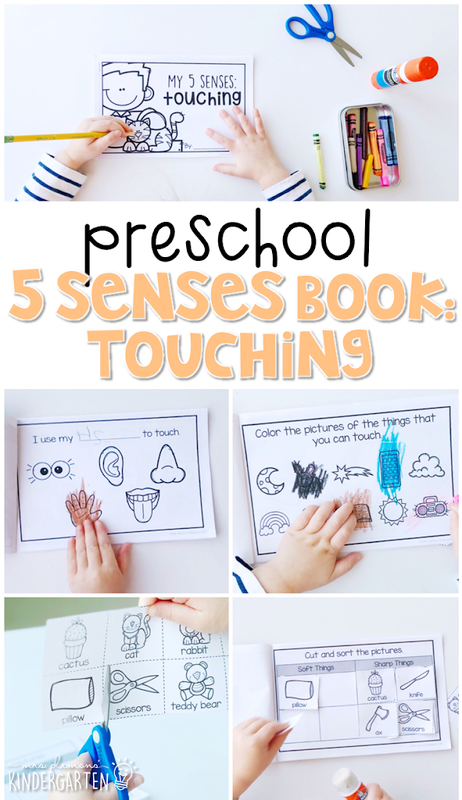 After reading, Madelynn completed the My 5 Senses: Touching book by following the directions on each page. We talked about the part of the body used to touch, things we can touch, sorted soft/sharp things, and more. 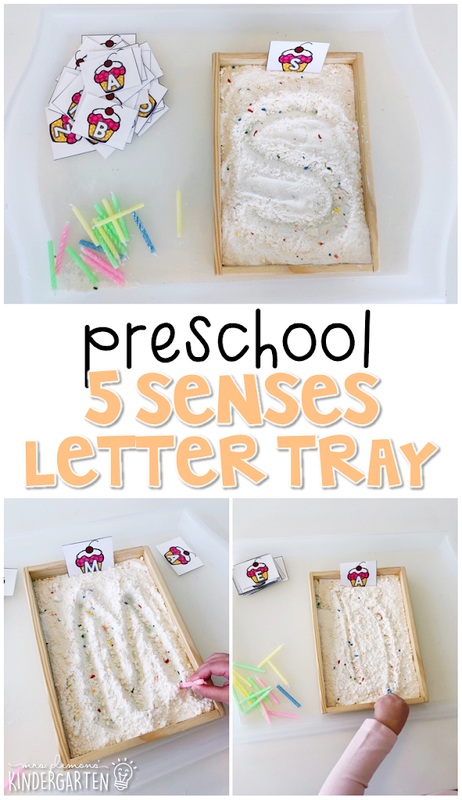 Our first literacy activity this week was a 5 senses themed letter writing tray. To make this fun sensory activity I filled our shallow tray with funfetti cake mix. Madelynn used cupcake letter cards as a model and chose which ones she wanted to practice. Then she used birthday candles and/or her finger to write letters in the yummy scented tray. Next, for more letter practice we used our dot stampers. We started out stamping inside the letter to make a F. Then Madelynn had to find the upper and lowercase f’s in the hand, stamp them and make the “F” sound each time. Then she stamped the other letters different colors and tried to make the sounds for each one. Madelynn used her sense of sight to look at the pictures on each card. 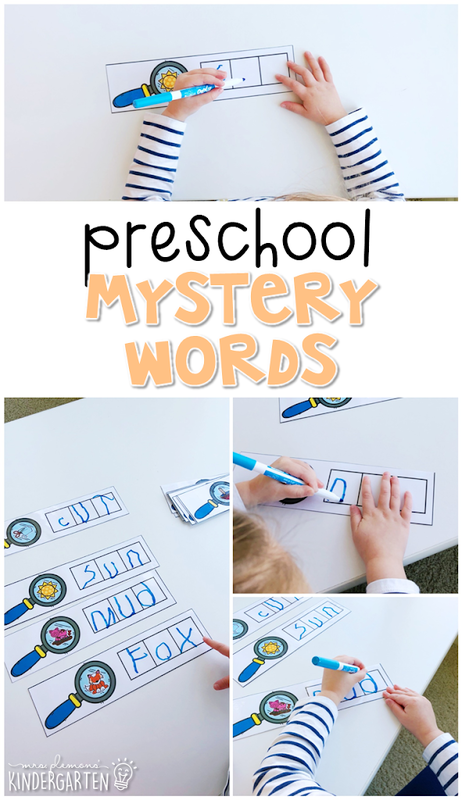 After saying the word, she tried to stretch out the sounds in the word and write them in the boxes on each card. 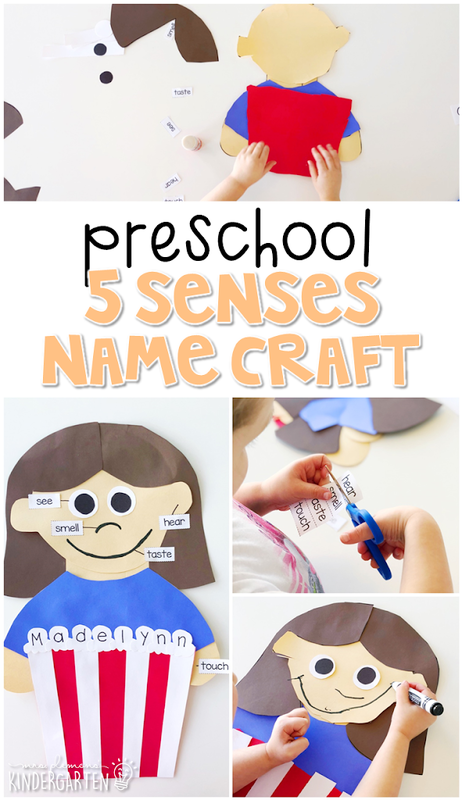 For this week’s name craft we created this fun five senses labeling craft. First Madelynn cut the girl and popcorn pieces out. Then she wrote the letters in her name on each piece of popcorn. After she finished writing, she glued the girl and popcorn bucket pieces together. Then she added the popcorn to the bucket in order to spell her name. Finally she added the labels for each of the five senses. 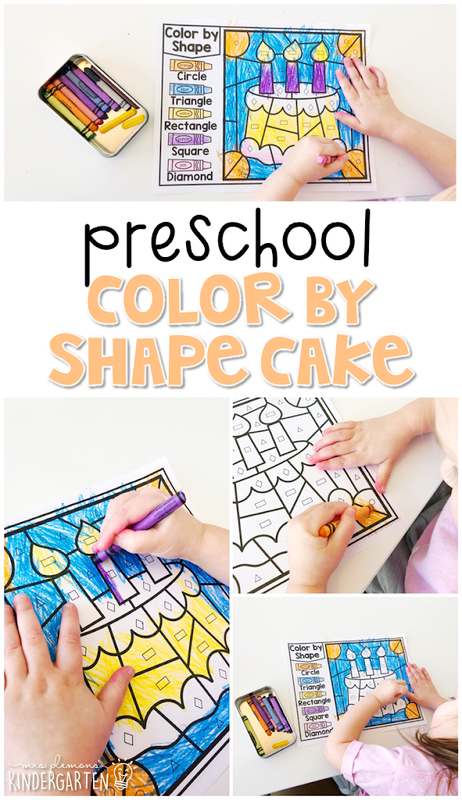 We worked on identifying more shapes for our color by the code activity this week. Madelynn worked on identifying and naming 5 basic shapes. I told her the color for each shape and she had to search and color each one in the picture. 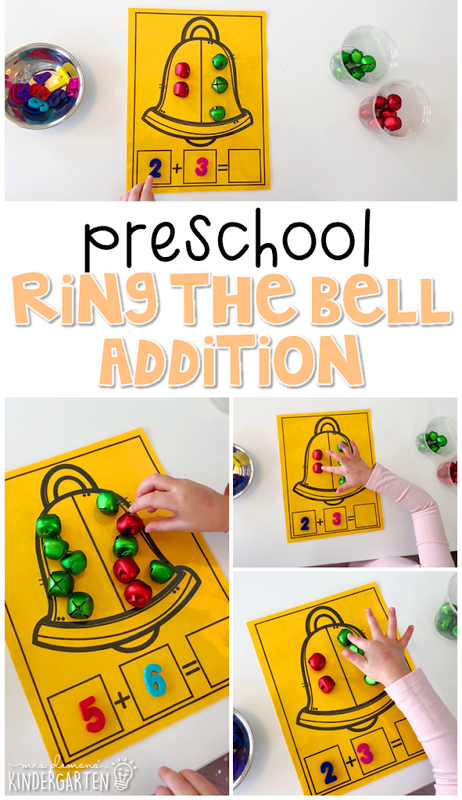 Our math focus this week was beginning addition and subtraction so we started with this ring the bell sound addition game. I printed and laminated a bell addition mat. Madelynn chose 2 number magnets and placed them on the addition mat. Then she added that number of jingle bells to each side of the bell at the top. Finally she counted the bells to find the total and used another number magnet to show the total. 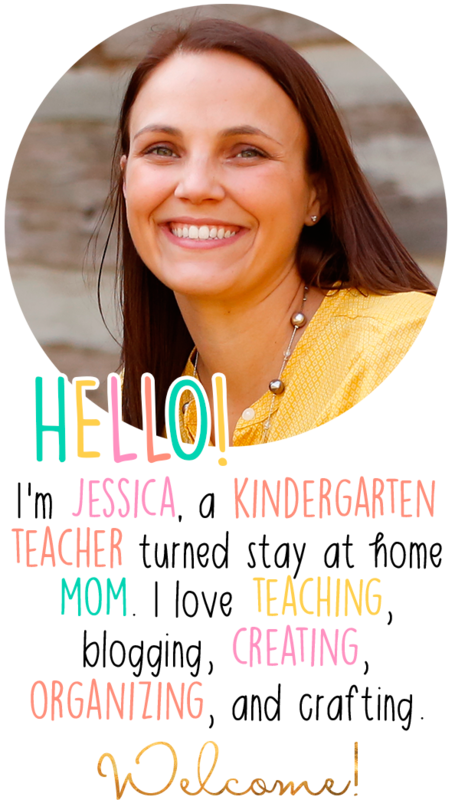 For this addition activity, I hid magnifying glass number cards around the house. 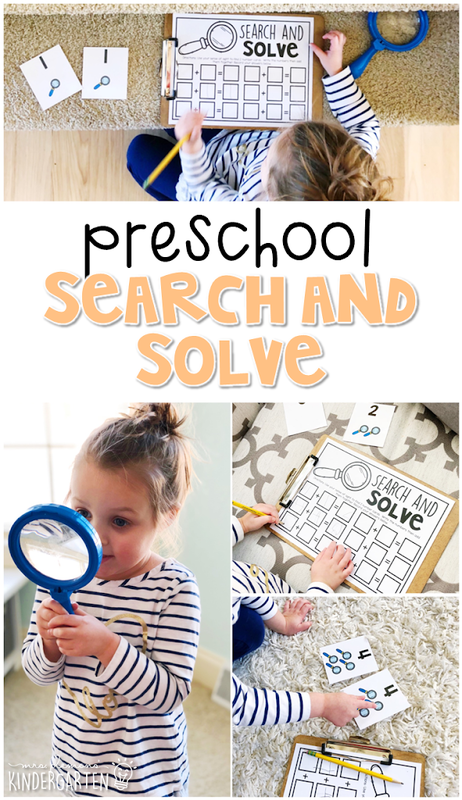 Madelynn used her sense of sight and a magnifying glass to find the hiding the number cards. After she found 2 cards, she wrote the numbers on the recording sheet, then counted to add the numbers together. 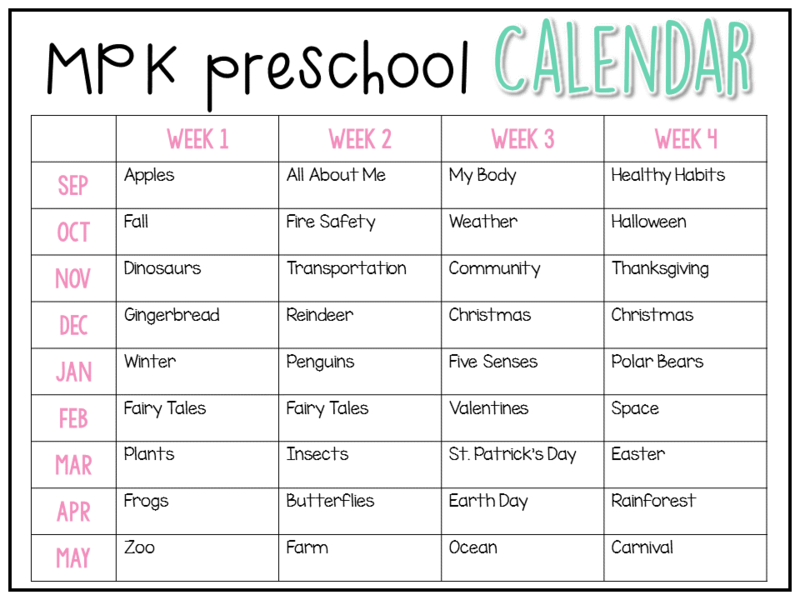 She recorded the total then searched for 2 more cards and repeated until she filled her page. 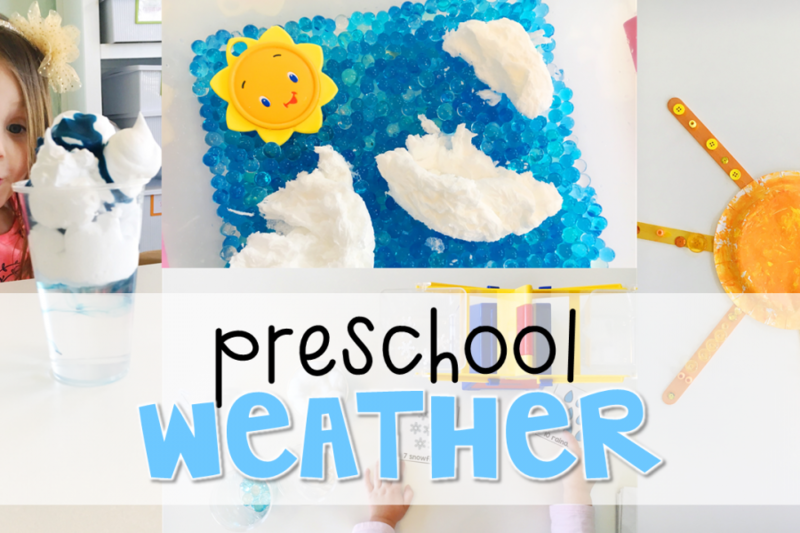 For this hands on addition activity Madelynn used her sense of touch to practice adding fuzzy pom poms. 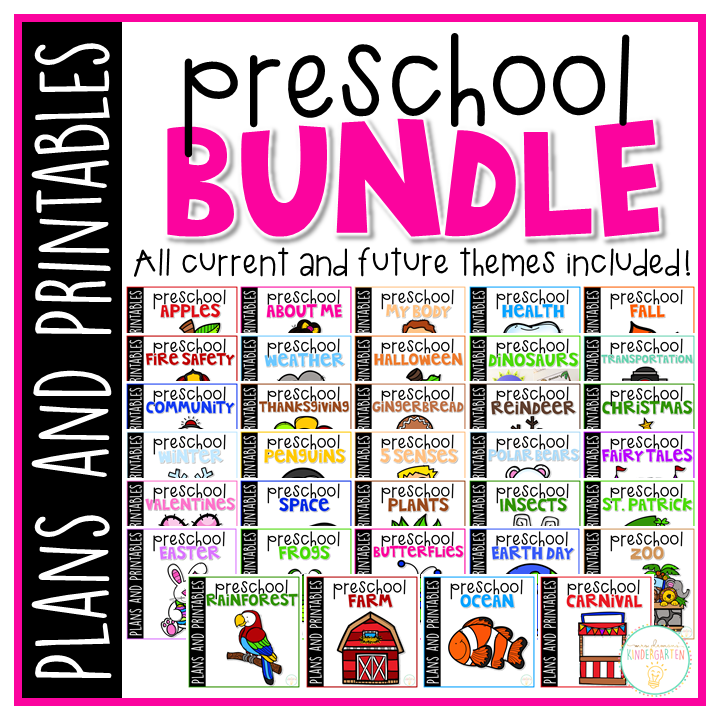 I printed the hand page on several colors of cardstock, laminated them and cut each one out. Then I used hot glue to attach 1-5 pom poms to each hand. 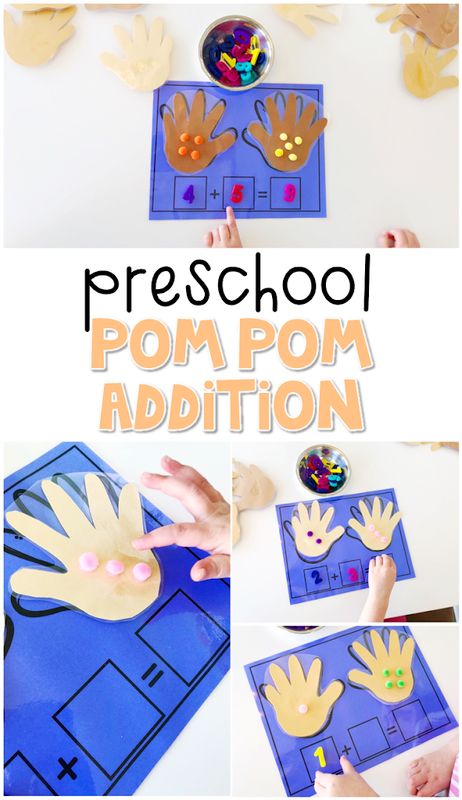 Madelynn chose 2 hands and placed them on the pom pom addition mat. Then she used number magnets to record the numbers. Finally she counted the pom poms to find the total and used another number magnet to record. 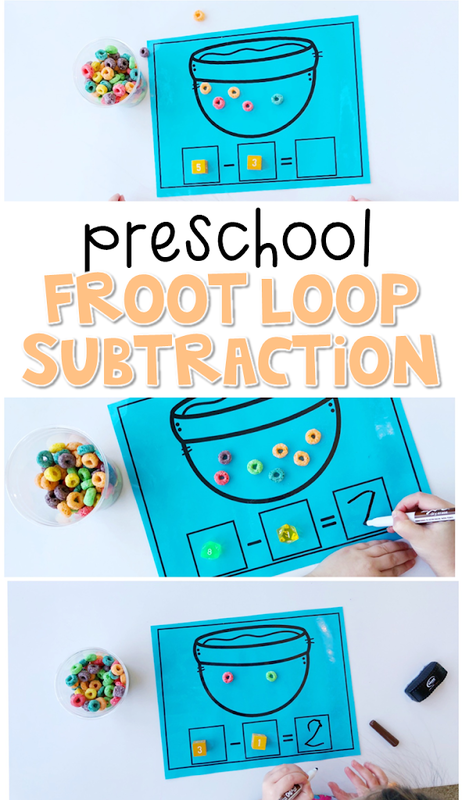 I introduced subtraction this week with this yummy Froot Loop subtraction activity. I printed and laminated the cereal bowl subtraction mat. Madelynn rolled 2 dice and placed them on the subtraction mat with the larger number first (another great skill to practice as well!) Then she added the first number of Froot Loops cereal to the bowl. Next she took away the second number of and ate them. Finally she used a dry erase marker to show how many pieces were left. This art project was a feast for the senses! I filled small cups with different colors of powdered Jell-O. 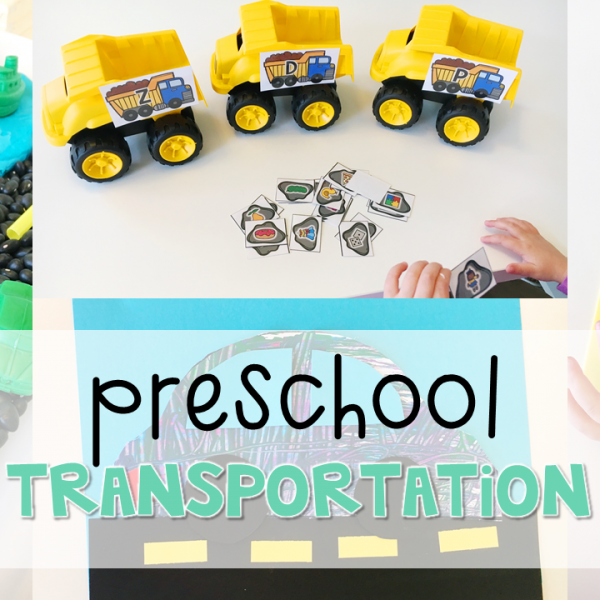 Madelynn used clear glue to draw pictures on white cardstock, one part at a time. 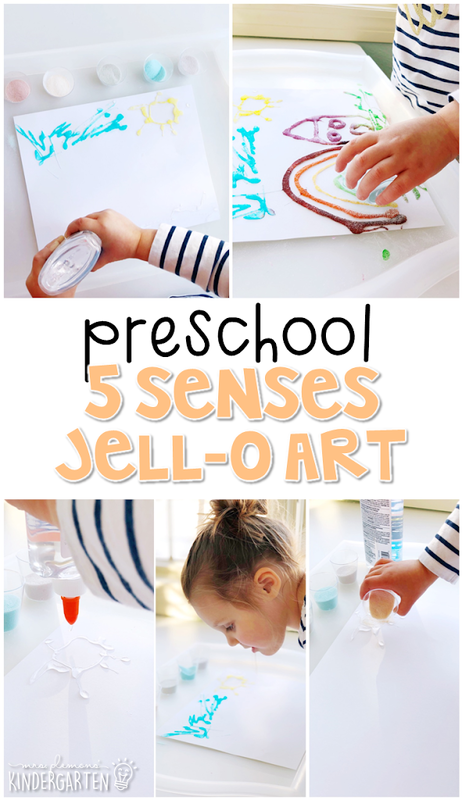 Then she sprinkled Jell-O power on the glue and watched as it changed colors and smelled amazing! I helped her shake off the excess powder and she repeated the process to complete a colorful picture. 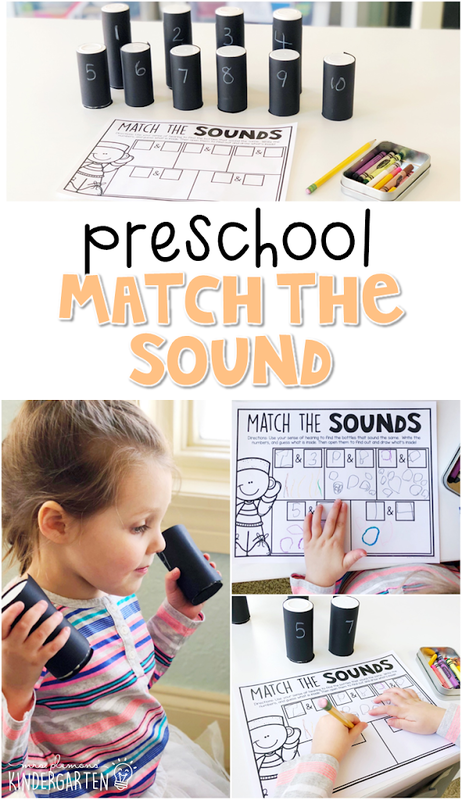 For a little sound science investigation, we played a match the sound guessing game. 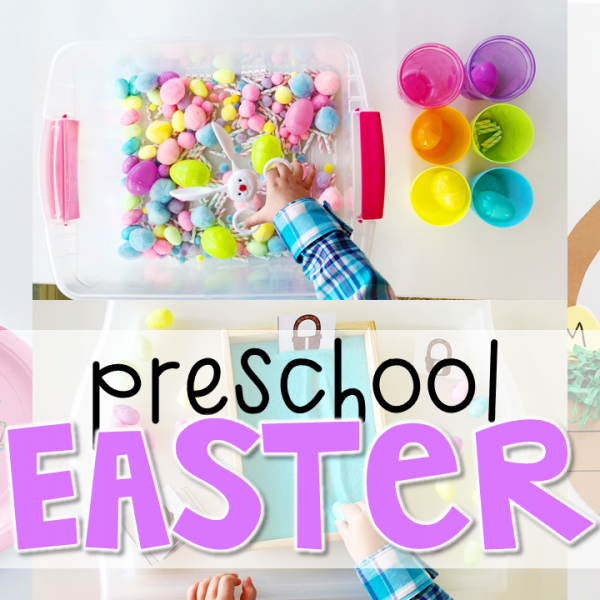 I filled 10 small bottles with 5 different items (pom poms, buttons, straws, jingle bells, beans, etc.) so that each bottle had a match. Then I covered the bottles with paper so that the contents were not visible and numbered them 1-10. Madelynn had to shake to find the bottles that sounded the same. When she thought she found a match, she had to write the numbers, and guess what was inside. Then she opened them to find out and drew it on the response page. 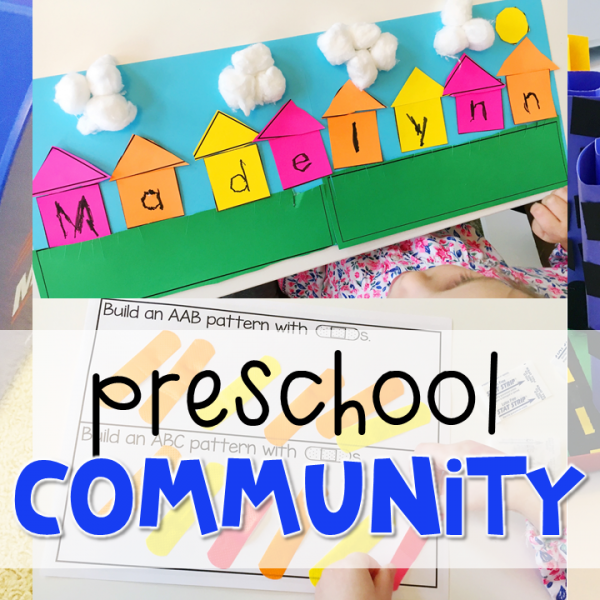 Madelynn used her sense of sight to create this beautiful color collage. I cut strips of paper in ROYGBIV colors. 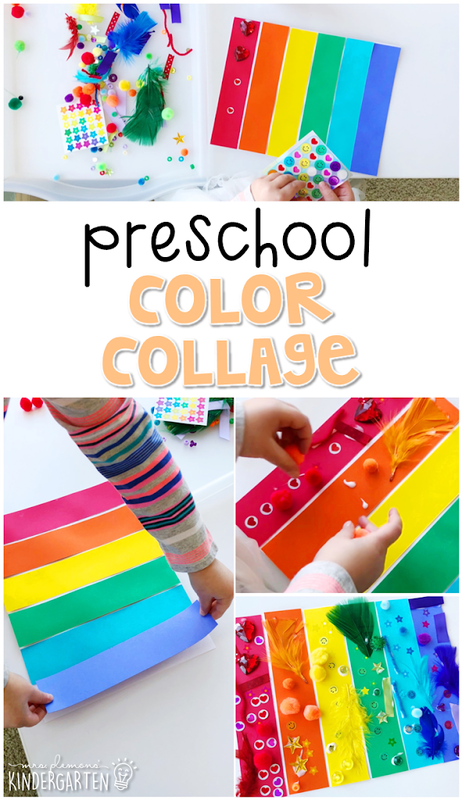 She glued the colored strips to a white piece of paper to create a rainbow. Then she sorted colored objects and glued them to the matching strip on paper to create a rainbow collage. 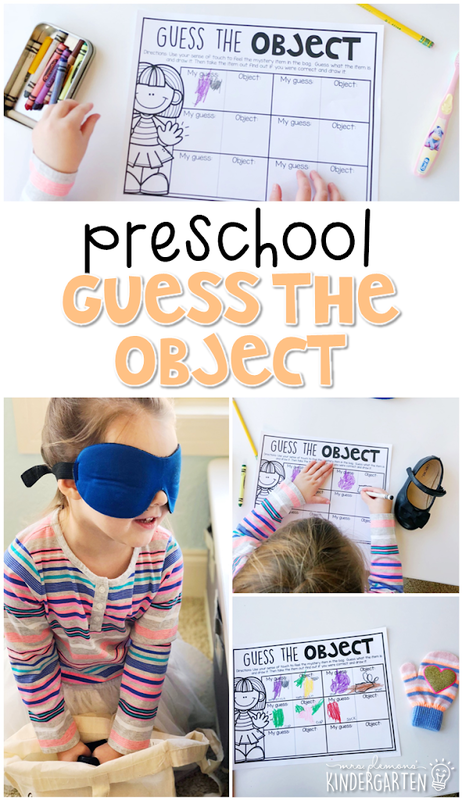 For a little touch science investigation, we played a guess the object guessing game. I filled a small bag with 6 different objects. With a blindfold on, Madelynn reached into the bag to touch and feel a mystery item in the bag. She guessed what the item was and drew it. Then she took the item out to find out if she was correct and drew it. I chose to make jigglers so they’d hold their shape a bit more, but you could make regular Jell-O for a more squishy messy experience. 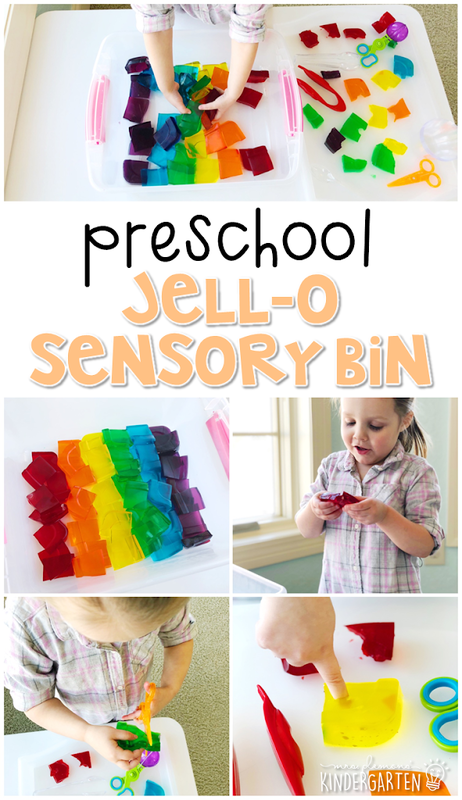 After each color was set, I cut them into small squares and placed them in a sensory bin in rainbow order. 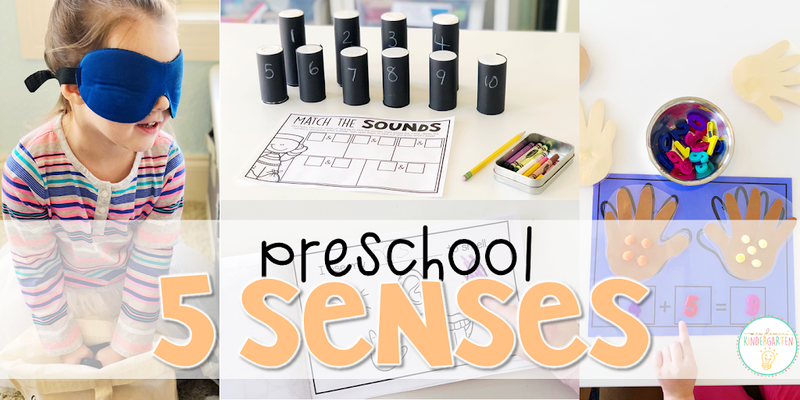 Madelynn used all 5 senses to explore the bin and we discussed how each sense is being used which a fun way to wrap up our 5 senses theme.